When getting a new car, you will want to find a dealership that has a wide selection of quality vehicles. At Bernards Northtown CDJR, you will be able to find plenty of vehicles that will provide you with a number of great transportation options. Chrysler Dodge Jeep Ram offers consumers with a number of sedans and sport coupes that will provide them with plenty of enjoyable vehicles to drive. With a vast inventory, consumers will have plenty of opportunities to browse through the selection as well as try out all of the vehicles that they are interested in purchasing. 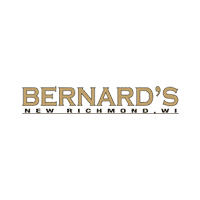 At Bernards Northtown CDJR, the inventory always fluctuates and so there will always be a variety of options available. If you are looking to get a certain model or trim level in the future, this dealership will likely have it in stock. You can also find a model and trim level that you want to purchase now. Even if you are unable to find the exact vehicle you want now, chances are it will be available within a matter of days. As a result, you will want to come visit this dealership when looking to purchase a new vehicle from Chrysler Dodge Jeep Ram in Bernards Northtown. Buying a car is a significant decision in terms of finances and transportation. As a result, it is very important to get one that best suits your needs and preferences. While you can buy a used car, it is often better to purchase a new one. A new car will provide you with plenty of benefits. These benefits include reliability, pristine condition, updated features, advanced technology and also no record of systematic defects All of these benefits will enable consumers to use a vehicle that will provide them with the enjoyable and dependable transportation that they seek. One of the things that makes Bernards Northtown CDJR a good dealership to visit is the quality of the new cars available. This dealership carefully inspects all of the vehicles that it plans to sell. The inspection entails checking everything in both the interior and exterior of the vehicle. At this dealership, things such as the electrical system, brakes, technology, engine, radiator and the wheels will be examined. As a result, each of these vehicles will be in excellent working condition. They will never have any defects and will not have any blemishes on the exterior as well. Anyone looking to purchase a new Chrysler Dodge Jeep Ram vehicle will benefit by visiting our dealership soon. This dealership offers among the widest selection of new quality vehicles. When stopping by our dealership, you will be able to come talk to one of the salesmen and the staff. They will be more than happy to help answer any questions you have about any of the vehicles in stock. As well as getting information about the vehicles you plan on purchasing, you will also want to come in for a test drive. By going on a test drive, you will be in position to test the vehicles you are interested in purchasing. This will give you an opportunity to see how the vehicles perform, how the technology works and determine if they are comfortable for you to drive. If you are in the market for a new car, then come visit our dealership today.